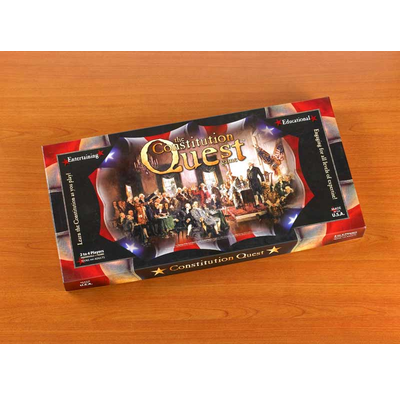 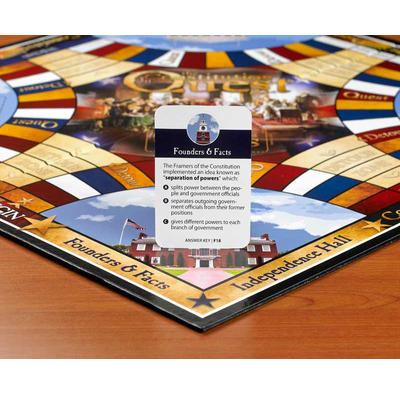 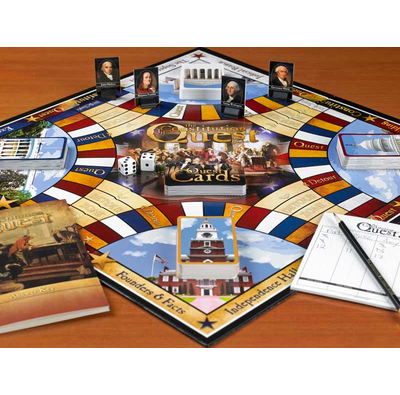 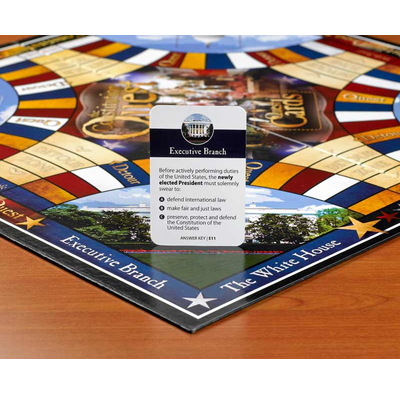 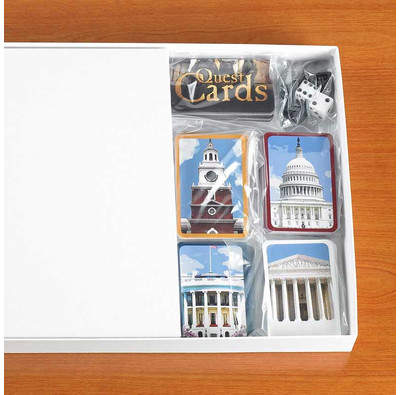 See The Constitution Quest Game Pieces | What's your Constitutional IQ? 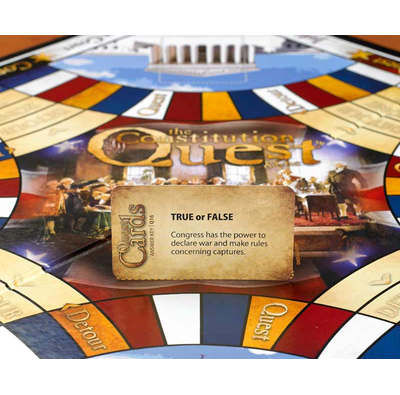 "...Constitution Quest stands out because it is fun and educational... My teen-aged daughter just finished studying American Government last semester, and she did not enjoy it one iota. 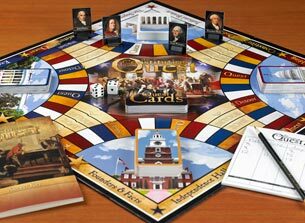 But she enjoyed the game a lot, and whenever she missed a question, I was delighted to see her pull out the constitution to check the answer. 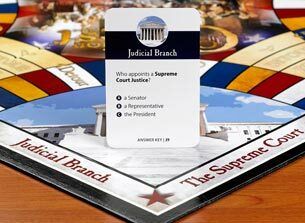 She showed more interest in the Constitution playing this game than she had the entire semester! 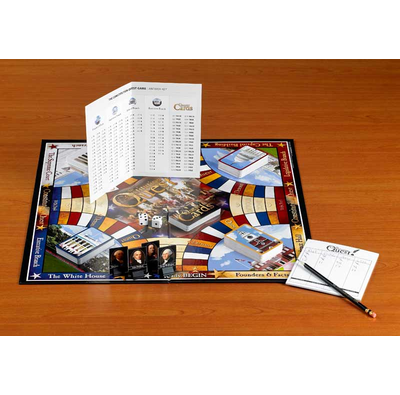 Learn How the Game Works! 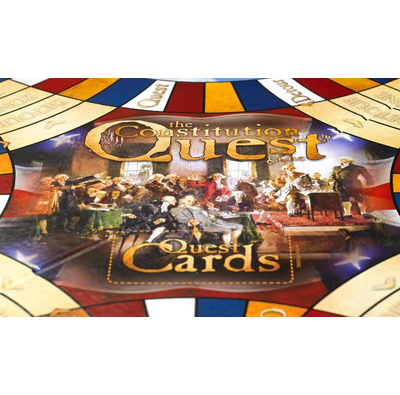 Constitution Quest - Educational and Fun! 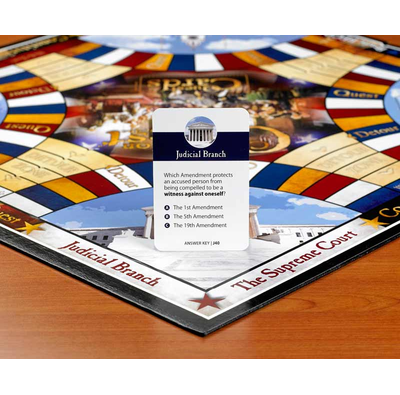 You'll LOVE this beautiful and informative 90-second video below! 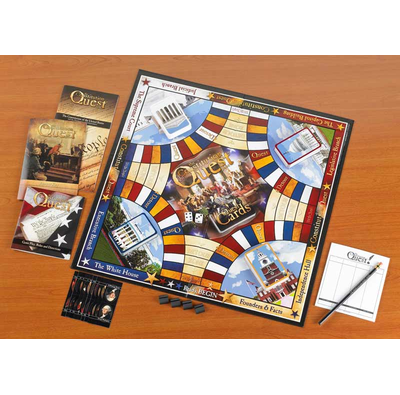 Play at home or in the classroom! 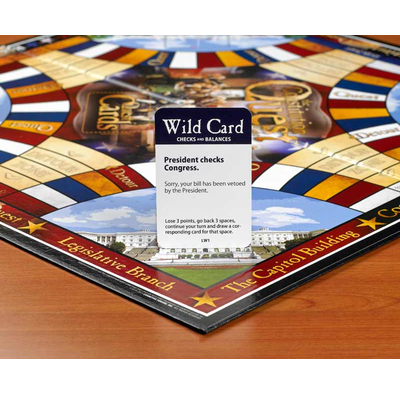 Preview of a few of the fun game cards! 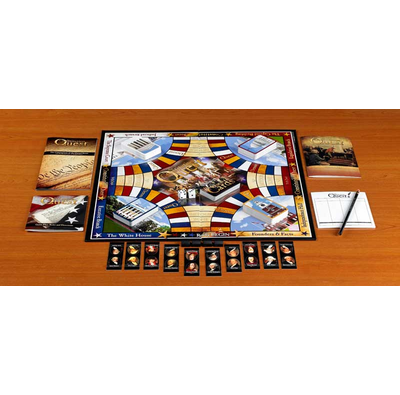 View images of our game below. 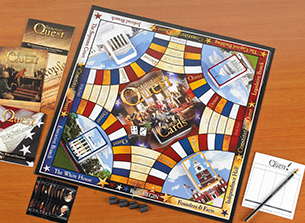 Rule sets included for both easier and more complex versions of play! 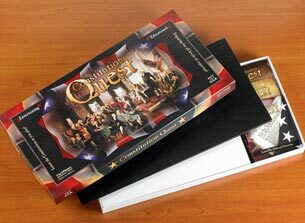 Now, young players (7+) and adults of all ages can enjoy Constitution Quest together! 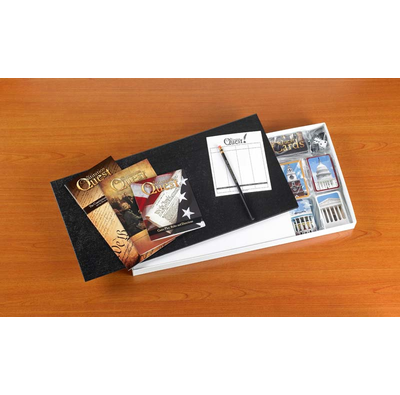 Scroll through images in our Photo Gallery below. 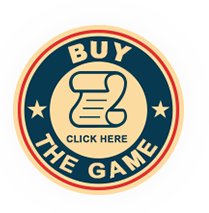 If you like what you see, you can buy the game by clicking here!